So glad to have you here hopping along on our fun blog hop! There is a ton of inspiration along the way so be sure and hop around to see everyone. I made this sweet Humphrey holiday card to share with you. I used one of the cutest stamp sets EVER, the Humphrey's Corner Collection - A Present for You. I stamped little Humphrey out onto a piece of Ultra Smooth Premium White Cardstock with my Tsukineko Memento ink in Tuxedo Black and colored him with my Spectrum Noir markers in CR1, CR7, CR8, IB1, IB3, IG1, IG3, IG5, CG1, CG3, CG4, and BT4. It is just a joy to color with these awesome markers! 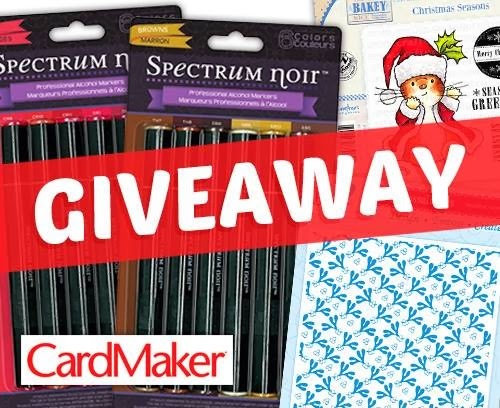 You can win TWO packs of the 6-marker sets of Spectrum Noir markers (Reds and Browns), The Makey Bakey - Christmas Seasons stamp set, The Embossalicious - Mistletoe Moments embossing folder AND a 1 year digital subscription to CardMaker Magazine! 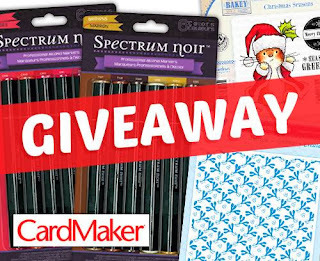 All you need to do is go to the Crafter's Companion Facebook page and enter! 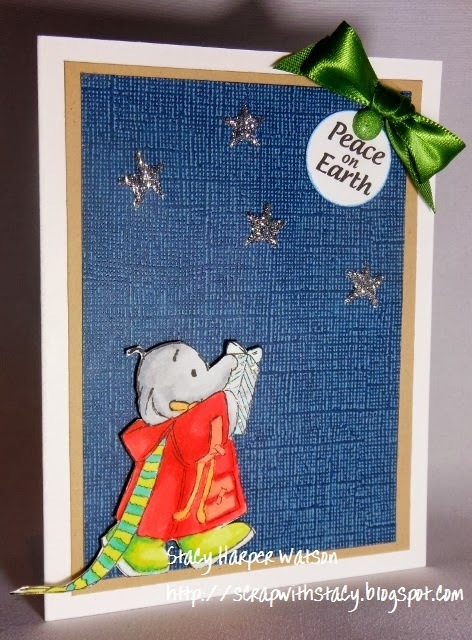 Thanks for helping to celebrate the holiday season with Crafter's Companion and CardMaker Magazine! Have fun hopping!! Love how you made Humphrey dimensional! Your card is lovely! TFS! Mice, puppies, and now cute little elephants... these stamps are adorable! Love how you positioned him on your card against the dark background and the glittery stars in the sky - great job! Humphrey is such a cutie! Love your sentiment stamped on the "moon," and your starry night sky. What a great card! That Humphrey is always so cute! That image is sweet! Thanks for entering the challenge at 3 Girl JAM. Julie O, DT member. Cute. Thanks for joining us at Songbird Challenges!